As early as in 2000, Beijing, Shanghai and some other cities became the first pilot cities to advocate garbage sorting. However, 17 years later, the effects of garbage sorting in China are far from satisfactory. 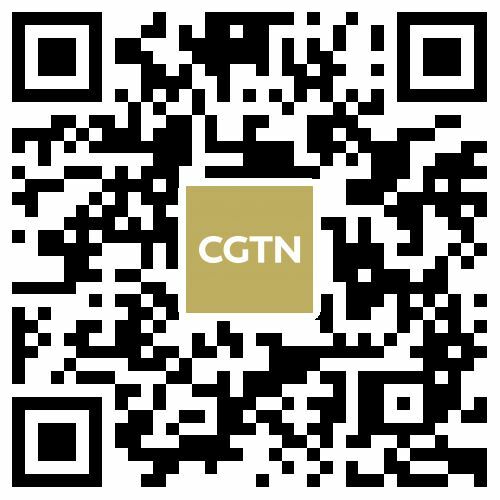 China's National Development and Reform Commission and Ministry of Housing and Urban-Rural Development issued "The Implementation Plan of Garbage Sorting" in March, which requires 46 cities nationwide to carry out mandatory garbage sorting, and guides residents to sort garbage on their own. The plan also proposes to establish a basic system of laws and regulations on waste classification by the end of 2020.
Who should be responsible for garbage sorting? 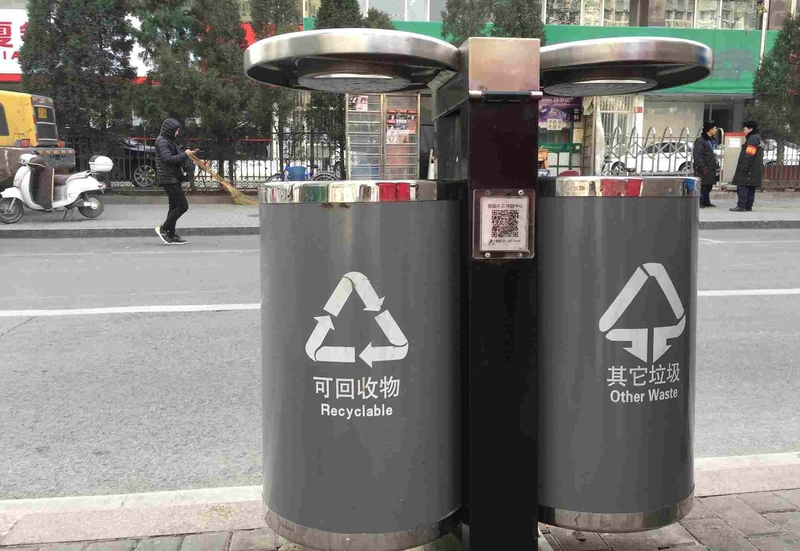 More than 3,700 communities in Beijing started placing specific trash cans and recycle bins for sorted garbage from 2011 to 2015. Sun Jinghua, a project director of waste reduction in environmental NGO "Friends of Nature," noticed in her community in Haidian District, that a garbage sorting instructor who was supposed to advocate, instruct and supervise the garbage sorting of residents, later became the person who sorted garbage for the residents. Sun questioned, "Whoever produces the garbage should take the responsibility of garbage sorting. How come it becomes the responsibility of cleaners?" 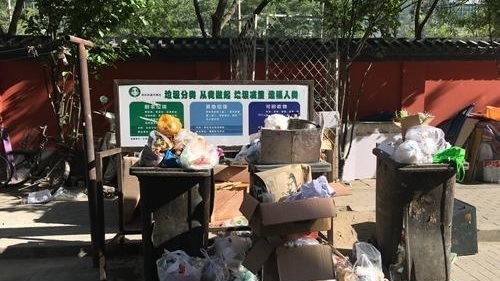 In another community located in Beijing's Chaoyang District, all types of trash were scattered in three trash bins with signs of "Kitchen waste," "Recyclable" and "Others". And no one paid attention to the instructions behind those bins. 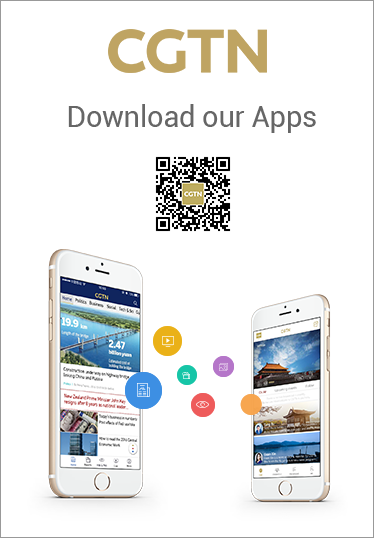 An online poll in 2015 on the status of garbage sorting in China found that of the 2,000 people surveyed, only 12.5% said they could feel the obvious effect of trash classification, and 38.2% said they had kept sorting garbage. On March 22, Renmin University of China released an assessment report on the social cost of urban waste incineration in Beijing. This report analyzed the emission data of three operating waste incineration plants and another eight plants which are still under planning. The report cited the 2015 permanent resident population in Beijing and examined the dioxin emitted from waste incineration and the predicted concentration according to wind direction. The result shows that the risk of getting cancer would be 25% lower if the waste is properly classified before incineration. 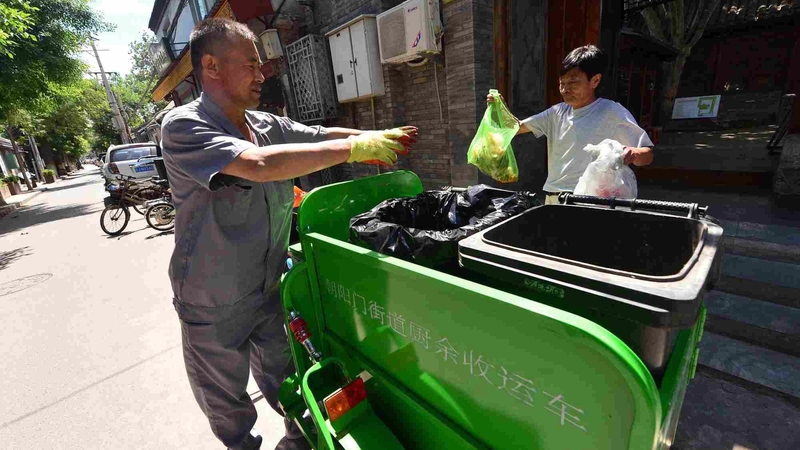 The report also shows that if the waste sorting and recycling had been conducted in Beijing in the year of 2015, the social management cost would have been reduced by 64%, from 4.22 billion (612 million dollars) to 1.53 billion yuan (222 million dollars). Song Guojun, the chief expert of the report, said this report further verified the necessity of waste classification through comparing the social costs of mixed and classified incineration. Sun said if kitchen waste is not sorted out, the amount to be landfill-based and burned would be huge and would continue to rise. The garbage disposal capacity fails to catch up with the speeding up of garbage producing in China. Research shows that there would be no place in Beijing to bury garbage in four to five years. In Shanghai, some landfill sites have even been built close to residential areas. Mao Da, the founder of the volunteering activity "Zero waste", suggested the government inform the public of the cost of not sorting garbage. He said in an interview that if the public know how they might be hurt by not doing this, they would feel more pressure and motivation to think it as their own business, and generate their sense of responsibility.